The latest eighth generation A4 has to be Audi's most serious contender in the compact executive car stakes when compared to BMW and Mercedes rivals, with over 430,000 delivered to UK buyers. I got to drive most versions at the international launch in Portugal late last year with mixed views. So I was keen to drive the greenest and most fleet-friendly TDie 163 Avant that wasn't available then, at the A4's UK launch. The majority of changes between the old and new cars are to the exterior and ape those made to the A5. 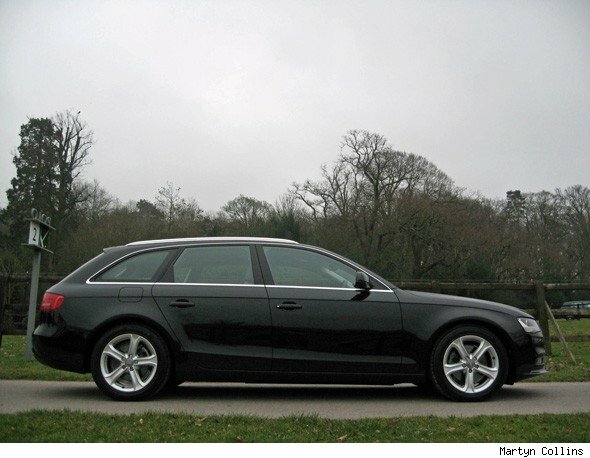 Hardly radical, the biggest difference is at the front with the A6-like nose. The bumper, grille, headlamps and bonnet are all-new. Where xenon lights are fitted, there's also distinctive new versions of Audi's trademark LED driving lights. Changes for the back of the face-lifted A4 models are limited to a new set of rear tail lights with LEDs and a revised rear bumper. Alongside the new looks, there are also new engines and this higher-power 165bhp 2.0-litre TDie engine has been added to support the already popular 134bhp version. It might be a diesel and a green one at that, but I was impressed by the new engine's refinement. You can barely hear the engine at idle inside and when you can, it sounds surprisingly willing for a diesel. With more power, the 165bhp engine feels less stressed than the 134bhp version. Top speed is 134mph, with Co2 emissions of just 120g/km. Acceleration to 62mph takes 8.7 seconds and the hike in torque gives a pleasing extra shove when accelerating or overtaking. This is helped by being mated to a slick six-speed manual gearbox. Another positive of the TDie specification is that these models are only available with 17-inch alloy wheels and low-rolling resistance tyres. The wheels do look puny in the A4's arches, but there's no doubt the smaller rims have a positive effect on the A4's usually unsettled ride. The A4 in 165bhp 2.0-litre TDi trim might be more powerful and ride better than most other models in the range, but don't expect this to result in an agile driver's car. 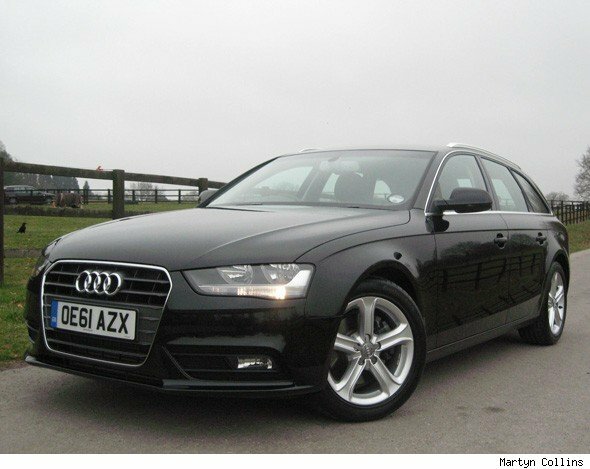 The steering is precise and the body control excellent, but this A4 just isn't that involving. 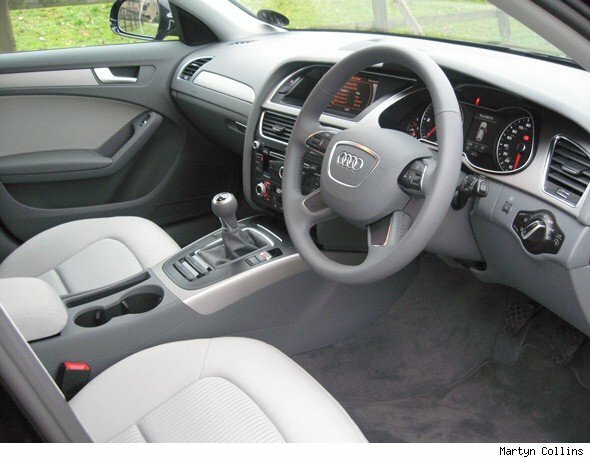 Composed and comfortable are probably the best description and this is echoed in the A4's slightly spartan, but beautifully finished interior. This was despite the £30,000+ price tag of our test car. 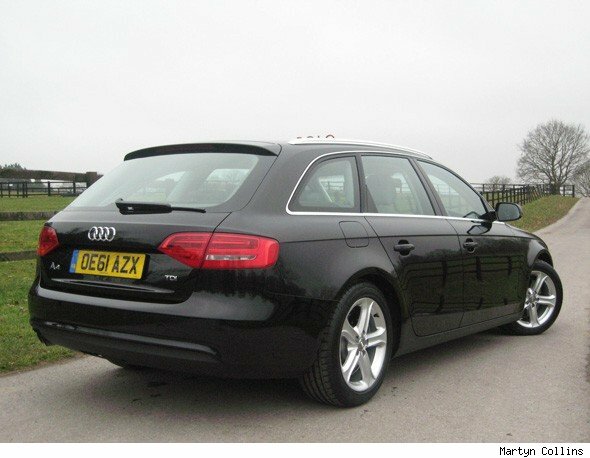 So, should you buy the TDie 165bhp Avant version of the A4? Well if you're in the market for a new compact executive car with a premium feel, then yes it should be on your list. The real fly in the ointment is there's a new BMW 3-Series Touring just around the corner and it is likely to be as green and more fun to drive.